They kinda go through teenager growth spurts and they will not look as of their parts fit together. He will grow into himself. Give it time. I think his belly looks great. All healthy cats have a little bit of a primordial pouch (thanks fun fact Friday), and you can just see it easier on the hairless breeds. looks like sphynx belly to me! He is so very handsome! His belly looks like a good sphynx belly to me. Kittens will have grow spurts and need all the energy from the food. I think Dobby looks perfect. I’ve had three sphynx cats. One weighed 7 pounds, one 9 and one 13. The 9 pound cat looked her he when I first adopted her, but then I got the 13 pounder and she looked dainty next to him. Glad you stopped by with adorable pics! Do you have pics of your girl ? "Donskoy is a hairless cat breed. ... The breed also features long, slim toes with webs of skin separating each toe, so it gives their feet a unique appearance. Overall, these cats are medium sized, with plenty of muscle, and they're strong-boned. They also have a distinctive pear-shaped, fat belly." I think your kitty looks perfect! Your cat looks great in shape. Kittens typically eat more than adult cats. Here is a feeding guide for your reference. 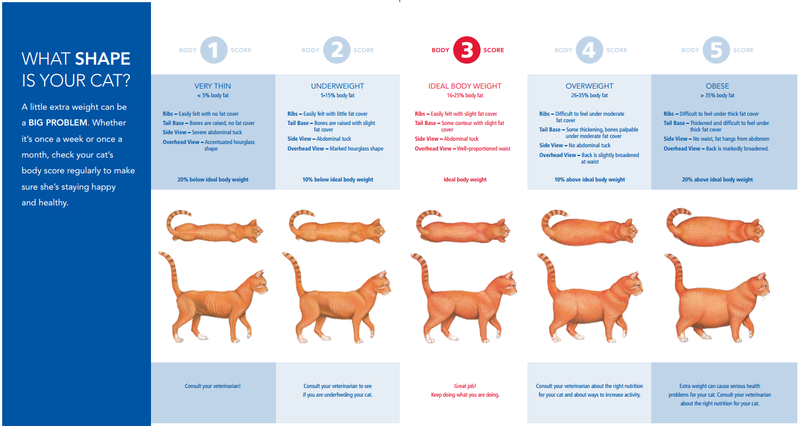 Want to know how much your cat should be eating? Check out our article where we break down how much you should feed your cat. My cat can eat a lot as well, having a good appetite is a good thing, but we really need to control how much to feed to avoid overweight. Hope he will grow up healthy! Yep! That's a Sphynx/Donskoy belly!! @Dobbytheratcat No worries. You have a healthy 6 month old baby. Yudjin's is slightly more pronounced, but I love that little belly. By the way, I LOVE YOUR DONSKOY! It's a shame we're kept in the dark about whether or not he'll keep that coat. He may lose some of it...or not at all, as he matures, but I love this baby! My new kitty, Yudjin is also 6 mos old and will be 7 months on the 26th (Feb). I LOVE this silly kitten stage he's in rt now. He's soooo entertaining and loveable at the same time. He loves to cuddle and touch my face when I pick him up. God, I love him. Yes, he bites too, mostly at night when we're settling in. His daily routine. Lol somebody had a big dinner! @Dobbytheratcat ahhh! Working the camera! Absolutely adorable! Stunning eyes !